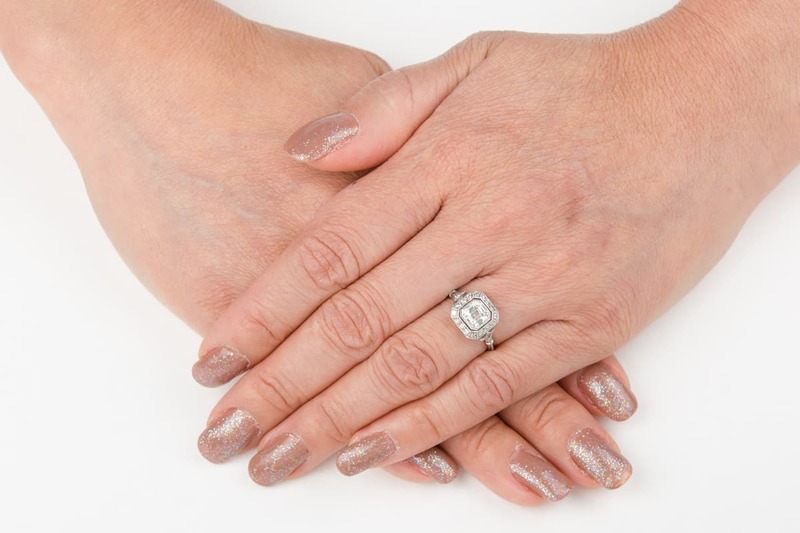 The stunning appeal of the New York Engagement Ring is the result of bold styling, high-quality elements, and gorgeous details. At its center sits a 1.01 carat Asscher cut diamond that is graded at J color and VVS2 clarity, and, like all GIA certified diamonds in our collection, comes with a copy of the full certification upon request. An array of 18 complementary diamonds accent the center stone, creating a celestial visual effect and an undeniable sense of vintage style splendor. Please contact us and we will send you a copy of the GIA certificate. SKU: 12256 Categories: Asscher Cut Engagement Rings, Vintage Engagement Rings - Contact us and request additional pictures. 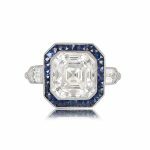 Defined by unique details and exquisite design, this one-of-a-kind Asscher cut diamond ring is a truly remarkable piece. An overall sense of balance and composition throughout the diamond setting and band reflect the expert craftsmanship of the era. 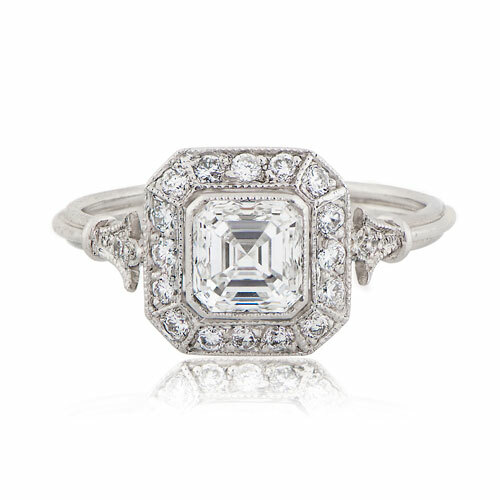 In addition to its historic value, the Asscher cut engagement ring vintage style design is recognized for its aesthetic brilliance and timeless beauty. 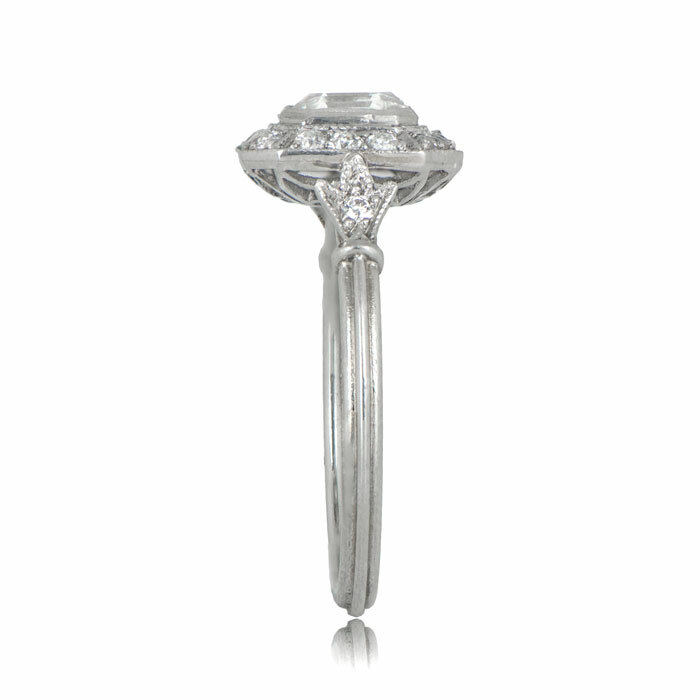 The Asscher cut engagement ring vintage style band design features a triple wire configuration, as elegant as it is bold. At the base of the mounting, a diamond-studded fleur-de-lis motif creates a stunning transition to the center grouping of diamonds. 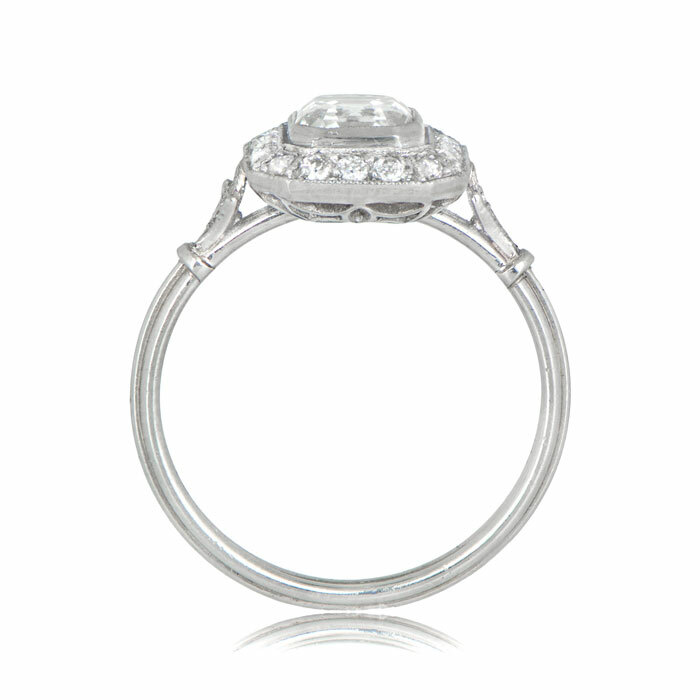 To ensure the perfect fit, this ring (like all rings in our collection) comes with a complimentary resizing. 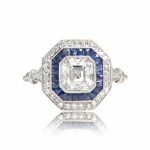 To arrange a viewing of this rare and exceptional piece, we invite you to contact our expert staff at 212.265.3868 or via email at info@estatediamondjewelry.com.